DEAR JERRY: In the early 1960s, most of my girl friends were crazy about Ricky, Frankie, and Fabian. But, the teen idol I adored most was Dean Reed. He resembled a young Robert Redford. Dean didn't have nearly as many hits in America as the others, but he did appear on several Bandstand-type TV shows. Then he just vanished, and I've never heard a thing about him since. Any idea what happened to Dean Reed? DEAR CLARICE: Sorta. Kinda. Maybe. We know Dean picked up the acting bug in 1960 when cast as himself in “Bentley and the Majorette,” an episode of Bachelor Father. By 1985, Reed had more than two dozen films to his credit, though you probably would not recognize a single title. None were made or even distributed in the U.S. The astonishing popularity of “Our Summer Romance” in South America in the '60s prompted him to tour there, especially in Chile and Argentina. He liked the area so much he settled down for a few years in Buenos Aires. In 1966, Dean jumped the Atlantic, and found his popularity in Europe even greater than in South America. After touring in dozens of European countries, on both sides of the Berlin Wall, Reed chose Soviet-controlled East Berlin for his permanent home. For the next 20 years, he was often described as the most famous American in that part of the world. Dean was an admitted follower of Marxism, but some Americans confused his ideology with Communism, and that is a label he categorically refused. “Marxism is about each of us helping other human beings. We should give of our love and our resources to help others. That is what a Marxist believes. There's nothing that divides Marxists from Christians. There's much more that unites us than divides us. In the spring of 1986, Mike Wallace interviewed Reed for a segment on CBS-TV's 60 Minutes. Some of Dean's comments enraged American viewers. Others irritated the Soviets. Within weeks (June 13, 1986), Dean Cyril Reed's body was found in an East Berlin lake near his home. What really happened to Dean? An accidental drowning? Suicide? Homicide? Each of these theories is held by one group or another. DEAR JERRY: As Dean Reed's brother, I spend a lot of my time correcting incorrect information about him, especially online. And those are just sites in English. Most are either German or Russian, neither of which I understand. Not that even I know all that much. Though Dean and I were only three years apart in age, we went our separate ways. We did meet every few years and exchanged many letters (no e-mail in those days). We were different in almost everything, especially economics and politics. Our dad used to tell his three boys about people that “lived fast, died young, and left a beautiful memory.” Well, that was Dean. It is the beautiful memory part I am trying to ensure for him by spreading the truth about him. Though not perfect, he was instrumental in causing the fall of the East German Wall and that is more than most of us accomplish. For sure he did not throw away his precious American citizenship. He was preparing to return home to Colorado but he must have crossed the Stasi (German Secret Police), the CIA, his wife, or someone. Maybe he fulfilled his purpose in life and decided to call it quits. Even I do not know how Dean died, but I hope one day to learn the answer. IZ ZAT SO? Before the fall of the Berlin Wall (1989) and German unification of the East and West sectors (1990), entering East Berlin could be a cultural shock. “It was very depressing. It had me scared when I got off the plane. There was a corrugated steel building, with an armed guard, and all of that. Fortunately I saw Dean waiting for me on the other side. “Dean was so popular and well-known that the treatment, once you got in there, was phenomenal. Actually, I was scared until I saw him, and I told him that. “My hotel had a total of only two televisions, but Dean got one of them for me. I picked up a West Berlin channel and watched “Bonanza,” dubbed in German. But it was still something American, and I loved it. vinyl doing well in michigan! Two local music shops will be celebrating the fourth annual Record Store Day with exclusive, limited releases on Saturday, April 16. Once thought to be dead, a victim of the digital age, the record industry has been making a comeback–spurred, in part, by a little thing called Record Store Day. A celebration of independent music retailers, the vinyl album is once again getting its due this Saturday, April 16. Record Store Day is music to a vinyl junkie's ears. More than 1,500 indie shops from the lower East Side to London are celebrating nostalgia on Saturday, hawking limited-edition album releases and hosting live performances to support local record stores. "It's bigger than Christmas for us," says co-founder Michael Kurtz. "When we open up in the morning, most stores have people camped outside, and a lot of them don't even have turntables! But they will buy these releases because they are collectible pieces of art. Record stores may evolve into community gathering centers, according to middle school students and those in the business. Students at Ridgeway Middle School made surprisingly astute predictions about the future of a product with which most are largely unfamiliar. “I thought this would be a good opportunity to share with the students and have a discussion about the history and the changes in technology (in the record business),” said Ken Greene, a music teacher at Ridgeway, of the two-year project he created in which students used online resources to design record stores of the future. What is the greatest album cover of all time? From bull-riding to cat-showing, every subculture has its own lingo. Record-collecting is no different. When it comes to vinyl, serious crate-diggers have their own language to describe condition, genre, and customers with alarming specificity. And with Record Store Day right around the corner, we know you'll be thumbing through a lot of crates come Saturday. But for those among us apt to confuse Steve Wynn and Steve Winwood, we checked in with Bob Husak of Ballard's Leary Records (5459 Leary Ave. N.W.) to get the lowdown on slang you should know to talk like a pro. 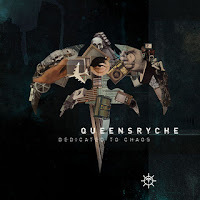 Progressive heavy-metal vets Queensryche have recently revealed the front cover artwork for their upcoming new studio album, 'Dedicated To Chaos,' via Roadrunner/Loud & Proud Records on June 28th. This is the band's first album since 2009's, "American Soldier" and marks the 30th anniversary of the group. Something dark, cerebral, and dizzying is gathering power in the streets of Atlanta. Four hyper-talented musicians are working together to create the ultimate combination of memorable riffs, jaw-dropping beats, mild-altering vocal harmonies, and unearthly guitar passages. Yes, Mastodon are writing the follow-up to their 2009 masterpiece 'Crack the Skye.' Right now, even the band members don't know exactly where the songs are going musically, but they're happy with the direction in which they're headed. Founder of WaveMusicStation.com, Robert Henry, is pleased to voice the launch of his new online store. Shoppers will discover an extensive selection of R&B and jazz music in the form of CDs and LPs. 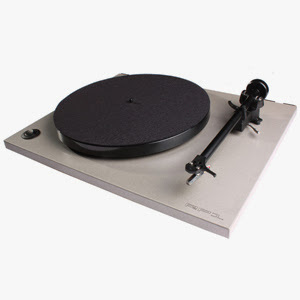 With thousands of albums to explore, shoppers are sure to uncover tunes they enjoy. Visit AllDatMusicOnline.com, the site’s blog, to learn about the beginnings of jazz and R&B as well as various trends in music. Yorktown, VA (Vocus/PRWEB) April 13, 2011 ~ Web entrepreneur Robert Henry is pleased to announce the publication of his brand-new online store, http://www.wavemusicstation.com/ Scheduled for its official grand opening May 1st, the web store welcomes shoppers to preview its extensive collection of classic albums in jazz and R&B as Henry continues to update his music selection with thousands of LPs and CDs. There will be new content added almost daily, so shoppers are encouraged to check back within a few days if they are not able to find one they’re looking for on their first visit. There will always be new content. “I’ve been collecting albums of classic jazz and R&B for more than 40 years, which has allowed me to build an impressive repertoire of about 15,000 different pieces,” Henry said. Shoppers are invited to visit WaveMusicStation.com to explore an exciting assortment of classic jazz and R&B albums from Henry’s personal collection. Discover assorted albums by some of his favorite musicians like George Duke, Lee Morgan, Shirley Scott and Sam (The Man) Taylor as well as other popular artists of these music genres. Shoppers can choose from new and used LPs and CDs in classic jazz or soulful R&B tunes; collectible jazz LPs are also available. “My vast music collection has simply become too large for one person; therefore, I want to share my passion for jazz and R&B with others who appreciate great music of the past,” Henry said. From vinyl album singles to DJ promos from the ‘80 and ‘90s, his music selection also includes new and used records and more from his years as a professional DJ. Shoppers may also check out his laser discs, which feature children’s music, concert recordings or popular movies. Don’t forget to visit his specials page that highlights extra-discounted merchandise. “My devout appreciation for classic jazz, swing, bebop and R&B music stems from the raw talent each artist portrays, unlike much of today’s music that has been synthesized or gains popularity due to the commercialization of an artist,” Henry said. To learn more about the specific products available at WaveMusicStation.com, visit the website’s newly formulated business blog, http://www.AllDatMusicOnline.com. This social platform will also be used to profile great musicians of the past, discuss trends in music of today and highlight the ways jazz qualities have crossed over into R&B. “My goal is to match shoppers with great music they will enjoy. Therefore, I’m willing to discuss my prices, especially for bulk orders, in an effort to accommodate everyone,” he said. 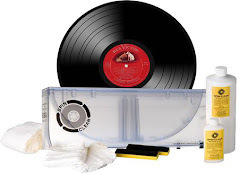 All merchandise at WaveMusicStation.com has been priced according to the Goldmine Record Album Price Guide to ensure fair prices for every shopper. WaveMusicStation.com is owned and operated by Robert Henry with help from his wife, Tina, and their daughter, Tia, who is learning to appreciate music from her father’s generation. In 1957, Elvis Presley hit #1 in the U.S. with the Otis Blackwell composition, “All Shook Up.” The song knocked Perry Como’s “Round and Round” off the top of the charts and would remain there for eight weeks. In 1963, "Surfin' USA" by the Beach Boys was released in the US, where it will become the group's second Billboard chart-maker, reaching #3. The song was a note-for-note copy of Chuck Berry's "Sweet Little Sixteen" with new lyrics. After Berry sued, he was granted royalties and all further issues of the song gave him writing credit. In 1965, the Beatles recorded the song “Help!” during an evening recording session at EMI Studios in London. In 1967, Nancy and Frank Sinatra were at U.K. #1 on the U.K. singles chart with “Somethin’ Stupid,” making them the only father-daughter duo to have a chart-topping single. In 1974, Elton John reached the top spot on the Billboard singles chart for the second time with "Bennie and the Jets". Also in 1974, Paul McCartney and Wings’ 'Band on the Run' album was at #1 on the U.S. album charts. It was McCartney’s third American chart-topping album, which went on to sell over six million copies worldwide. In 1983, Pete Farndon, bassist for The Pretenders on their US Top 20 hits "Brass In Pocket" (1980) and "Back On The Chain Gang" (1983), died of a drug overdose. He was 30 years old. In 1999, Yoko Ono sued Fredieric Seaman over personal effects of the late John Lennon. Seaman, a former assistant to Lennon, was accused of "an elaborate scheme" to "exploit Lennon's death by stealing priceless personal and sentimental items." good for you yoko, you have done a tremendous job with john's legacy. In 2005, Johnnie Johnson, a Rock 'n' Roll pioneer who teamed with Chuck Berry on "Roll Over Beethoven" and "No Particular Place to Go", died of natural causes at the age of 80. In 2008, producer and drummer Clifford Davies, who had worked with Ted Nugent from 1975 to 1982, was found dead (aged 59) from a self-inflicted gunshot wound in his home in Atlanta. It was reported that Davies was “extremely distraught” over outstanding medical bills. In 2009, according to a chart compiled for the UK's BBC Radio 2, Procol Harum's "A Whiter Shade Of Pale" was the most played song in public places in the past 75 years. Rounding out the top ten were: #2 - "Bohemian Rhapsody" by Queen, #3 "All I Have To Do Is Dream" by The Everly Brothers, #4 - "Love Is All Around" by Wet Wet Wet, #5 - ("Everything I Do) I Do It For You" by Bryan Adams, #6 - "Angels" by Robbie Williams, #7 - "All Shook Up" by Elvis Presley, #8 - "Dancing Queen" by ABBA, #9 - "Magic Moments" by Perry Como and #10 - "White Christmas" by Bing Crosby. what no beatles? PRNewswire -- Two-time Grammy Award® and two-time MTV VMA-winning band Korn, Los Angeles' innovators of a new post-grunge metal genre, are the newest inductees into Legacy Recordings' prestigious Essential series of double-CD collections. Spanning their first decade as a major label powerhouse (1994 - 2004), with 28 signature chart singles, deep album tracks, and rarities, THE ESSENTIAL KORN will be available at all physical and digital retail outlets starting May 10th through Immortal/Epic/Legacy, a division of SONY MUSIC ENTERTAINMENT. THE ESSENTIAL KORN samples tracks from all six of Korn's studio albums, released on the Los Angeles-based Immortal Records via Epic Records. Immortal was launched in 1994 with Korn's self-titled debut album (including "Blind," "Shoots And Ladders," "Clown," "Faget"). Korn recorded for the label through the end of 2003, when they released Take A Look In The Mirror ("Did My Time," "Right Now," "Y'all Want A Single," "Everything I've Known"). During that time the band issued nearly three dozen singles on the Immortal/Epic imprint, 13 of them included on THE ESSENTIAL KORN. In addition to their Billboard breakthroughs of 1996 ("A.D.I.D.A.S.") and 1999 ("Falling Away From Me"), there are another 12 Top 40 Mainstream Rock and Modern Rock chart sides: "Got The Life," "Freak On A Leash," "Make Me Bad," "Somebody Someone," "Here To Stay," "Thoughtless," "Alone I Break," "Did My Time," "Right Now," "Y'all Want A Single," "Everything I've Known," and their cover of Pink Floyd's "Another Brick In The Wall (Parts 1, 2, 3)." THE ESSENTIAL KORN includes liner notes by Stephen Thomas Erlewine, senior editor for allmusic.com and contributing editor to the series of All Music Guide reference books. "There was plenty of darkness in the air during 1994 but nothing was quite so menacing as Korn in its gnarled deformity," he writes of the band's RIAA double-platinum debut album. "There was no mistaking Korn for nothing but a good time or even the old world gloom of Sabbath: this was modern ugliness, music devised to disturb... by design, this was an album meant to build through word of mouth, with metalheads lured into its dangerous world. And so it did." The debut album and its double-platinum follow-up, 1996's Life Is Peachy were produced by Ross Robinson at the very start of his career (he went on to work with Limp Bizkit, Slipknot, Sepultura, and numerous others). Korn's "Shoots And Ladders" earned the band their first Grammy Award® nomination in the Metal category. Robinson also produced "Proud," Korn's contribution to the movie soundtrack for 1997's I Know What You Did Last Summer. The following year, Korn switched gears and co-produced 1998's Follow The Leader with the team of Steve Thompson and Toby Wright. The 5x-platinum album gave Korn their first entries on the Modern Rock and Mainstream Rock charts, "Got The Life" and "Freak On A Leash," and also included guest appearances from Fred Durst of Limp Bizkit (on "All In The Family") and Tre Hardson of Pharcyde (on "Cameltosis"). "Freak On A Leash" brought Korn their first Grammy Award® win, for Best Short Form Music Video (directed by Todd McFarlane), as well as MTV VMAs for Best Rock Video and Best Editing. The collaboration with Thompson and Wright also yielded "Jingle Balls," a perennial Christmas metal classic that was initially included as part of a bonus EP disc (titled All Mixed Up) packaged with Korn's next album, 1999's Issues. The triple platinum Issues, produced by Brendan O'Brien (of Pearl Jam, Soundgarden, and Stone Temple Pilots renown) upped the ante as it registered three tracks in the upper reaches of the Modern Rock and Mainstream Rock charts: "Falling Away From Me," "Make Me Bad," and "Somebody Someone." Untouchables (2002) continued the platinum album string, as it spun off rock chart hits with "Here To Stay" (Grammy Award® for Best Metal Performance), "Thoughtless," and "Alone I Break." Korn's final studio album for Immortal/Epic, the platinum Take A Look In The Mirror (released November 2003) was produced by veteran Michael Beinhorn, who had gained respect over the previous decade and a half working with artists ranging from Herbie Hancock and Material, to Red Hot Chili Peppers, Marilyn Manson, and Hole, among many others. The album launched four more rock charts hits: "Did My Time," "Right Now," "Y'all Want A Single," and "Everything I've Known." Korn's Greatest Hits, Vol. 1 was issued in October 2004, and included the previously unreleased 7-minute cover of all three parts of Pink Floyd's "Another Brick In The Wall." A limited edition version of Greatest Hits was packaged with a bonus DVD, live at CBGB's in New York City, the source for "Got the Life." Erlewine's liner notes summarize Korn's subsequent albums on Virgin Records, 2005's See You On The Other Side and their 'untitled' release of 2007. "The group righted their middle age drift," he says of their most recent full-length studio album release of July 2010, Korn III: Remember Who You Are (Roadrunner), "a reunion with Robinson that reconnected them to the nu-metal legacy that can be heard in full on this ESSENTIAL collection." Disc 1 – Selections: 1. Blind (A) * 2. Shoots And Ladders (A) * 3. Clown (A) * 4. Faget (A) * 5. A.D.I.D.A.S. (B, Hot 100 #113) * 6. Good God (B) * 7. Twist (B) * 8. Chi (B) * 9. Proud (C) * 10. Got The Life (D, Mainstream Rock #15, Modern Rock #17) * 11. Freak On A Leash (D, Mainstream Rock #10, Modern Rock #6) * 12. It's On! (D) * 13. All In The Family featuring Fred Durst (D) * 14. Cameltosis featuring Tre Hardson (D). Disc 2 – Selections: 1. Falling Away From Me (E, Hot 100 #99, Mainstream Rock #7, Modern Rock #7) * 2. Jingle Balls (F) * 3. Wake Up (E) * 4. Make Me Bad (E, Mainstream Rock #9, Modern Rock #7) * 5. Somebody Someone (E, Mainstream Rock #23, Modern Rock #23) * 6. Here To Stay (G, Hot 100 #72, Mainstream Rock #4, Modern Rock #4) * 7. Thoughtless (G, Mainstream Rock #6, Modern Rock #11) * 8. Alone I Break (G, Mainstream Rock #19, Modern Rock #34) * 9. Did My Time (H, Hot 100 #38, Mainstream Rock #12, Modern Rock #17) * 10. Right Now (H, Mainstream Rock #11, Modern Rock #13) * 11. Y'all Want A Single (H, Mainstream Rock #23) * 12. Everything I've Known (H, Mainstream Rock #30) * 13. Another Brick In The Wall (Parts 1, 2, 3) (I, Mainstream Rock #12, Modern Rock #37) * 14. Got The Life (J, live at CBGB's, New York, NY 11/24/2003). A – from album Korn (Immortal/Epic EK 66633), released 1994. B – from album Life Is Peachy (Immortal/Epic EK 67554), released 1996. C – from album I Know What You Did Last Summer (Columbia/Sony Music Soundtrax CK 68696) released 1997. D – from album Follow The Leader (Immortal/Epic EK 69001), released 1998. E – from album Issues (Immortal/Epic EK 63710), released 1999. F – from EP All Mixed Up (Immortal/Epic A 30388), released 1999. G – from album Untouchables (Immortal/Epic EK 61488), released 2002. H – from album Take A Look In The Mirror (Immortal/Epic EK 90335), released 2003. I – from album Greatest Hits, Vol. 1 (Immortal/Epic EK 92700), released 2004. J – from album Live & Rare (Immortal/Epic 82876 82247 2), released 2006. 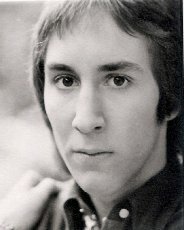 As part of an ongoing commemorative series of releases, the family of Doug Fieger is making available two albums by Fieger’s first band, Sky. Forty years after their original release on vinyl, Don’t Hold Back and Sailor’s Delight are being released digitally to a new generation. Better known as the lead singer of The Knack and co-writer of the #1 song of 1979, My Sharona, Fieger’s place in rock history might never have happened had it not been for the Cinderella story of Sky, nearly ten years earlier. Los Angeles, CA (Vocus/PRWEB) April 12, 2011 As part of an ongoing commemorative series of releases, the family of Doug Fieger is making available two albums by Fieger’s first band, Sky. Forty years after their original release on vinyl, Don’t Hold Back and Sailor’s Delight are being released digitally to a new generation. Better known as the lead singer of The Knack and co-writer of the #1 song of 1979, My Sharona, Fieger’s place in rock history might never have happened had it not been for the Cinderella story of Sky, nearly ten years earlier. 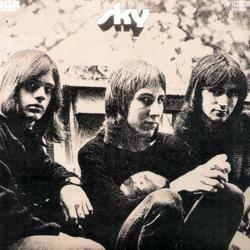 In 1970, Sky, whose members included Fieger, John Coury and Robert Greenfield, was achieving local success in Detroit. Although underage, the band was frequently booked at the concert venue, The Grande Ballroom, as the opening act for a powerhouse succession of groups including The Who, Joe Cocker and Jeff Beck. In a display of youthful bravado Fieger and Coury sent a letter to legendary producer, Jimmy Miller (Rolling Stones, Spencer Davis Group, Traffic, Blind Faith), saying that if he ever found himself in Detroit he should come by and listen to their band, and to everyone’s surprise, Miller took them up on the offer. Within weeks of graduating from high school, a seventeen year-old Fieger and his bandmates were on a plane to London and Olympic Studios with a recording contract on RCA records. With Miller on board, the lineup of musicians that came in to work with Sky reads like a Who’s Who of 60s rock and roll: Bobby Keys on sax, Jim Price on trumpet, Nicky Hopkins on keyboards as well as Gary Wright (who also produced), Chris Wood (Traffic) on woodwinds, and Ian Stewart on piano. Andy Johns (Sticky Fingers, Exile on Main St., Goat's Head Soup and Led Zeppelin IV) engineered and shared producer credit. After Fieger’s death in 2010 his family decided to go about obtaining the rights from RCA. However, this project was not purely sentimental. Not only did they believe in the quality of the material (all written by Fieger and Coury), but having seen that Sky was frequently referenced on Knack message boards, the family concluded that there was also general interest in the music and wanted to make it available to fans. 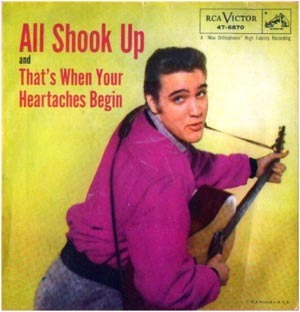 Discovered among the recordings were some titles and mixes that did not appear on the original albums. They have been included as bonus tracks on the re-releases as a treat for those fans from long ago who never expected to hear a “new” Sky song after all these years. Don’t Hold Back and Sailor’s Delight are available everywhere on April 12th. 8. How’s That Treatin’ Your Mouth, Babe? For a review copy of the album, please contact Heather Noonan at pr(at)bfmdigital(dot)com or 818-762-0191. BFM Digital is a global digital music company committed to serving the independent music community and delivering quality music, spoken word and video content to leading online retailers worldwide. Representing a diverse catalog of indie labels, artists and publishers, BFM distributes to all of the major music services including iTunes, Amazon, Rhapsody, eMusic, Napster, Walmart, Nokia and many more. With an unparalleled commitment to personalized service, BFM works closely with their content providers from around the world to ensure maximum exposure of their catalog by customizing marketing efforts and building strong relationships with BFM's digital store partners. i know it's digital, but being a huge fan of the band (The Knack) and of Doug Fieger, i figure anyway we get to hear this music is better than nothing. i hope to get a copy, look for a review of the releases very soon!